Maame Biney is achieving her dream and making it to the U.S.'s Olympic speedskating team. News4's David Culver reports. 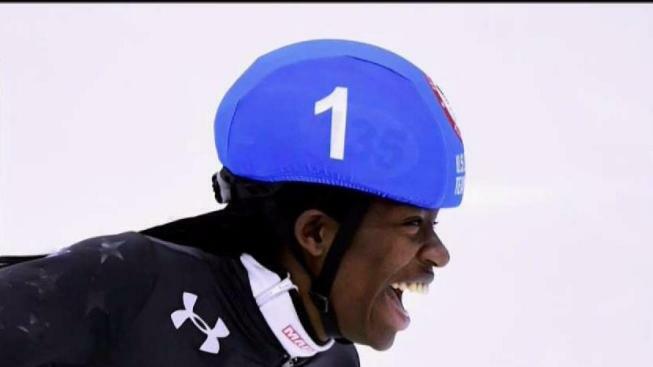 Olympian and Reston, Virginia resident Maame Biney became the first woman to nab a gold medal at the World Junior Short Track Championships, U.S. Speedskating said. Biney skated into first place in each 500 m race she entered on Saturday at the competition in Poland, and completed her first-place finish in 44.305 seconds. The second-place winner, Hungary's Petra Jaszapati, narrowly missed an Olympic medal in last month’s Pyeongchang games and finished about five one-hundredths behind Biney at the championships. Biney was born in Ghana and bean speedskating in Reston after moving to the U.S. with her father. She was ready for a win after falling short in last month in the Pyeongchang Olympics quarterfinals. Two other U.S. women have won bronze medals at the World Junior Short Track Championships. Biney’s is the first gold medal that a U.S. athlete will take home from the competition since J.R. Celski’s 2009 win. North Potomac, Maryland resident Gabriella Hachem also competed in the women’s 500 m, and made it to the heat round. Fairfax’s Brandon Kim finished third in two men’s events, the 500 m B final and 1500 m B Final. In those events, Kim placed in the top 10 overall. Jonathan So, of Herndon, also competed in the semifinals.